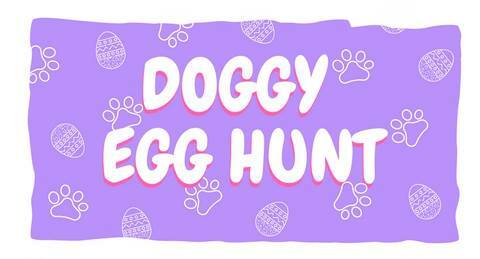 Have an eggcellent time at our annual Doggy Egg Hunt! Join us at Dog Day Afternoon on April 7th from 12:00 to 3:00. Tickets are just $10 per dog. Each dog can find three eggs. Prizes are included with every egg and you will be eligible to win one of our big basket prizes.